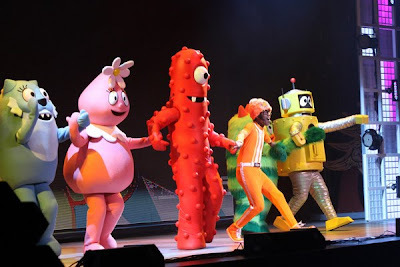 Babblings of a Mommy: Yo Gabba Gabba Live: There's A Party In My City! Yo Gabba Gabba Live: There's A Party In My City! Yo Gabba Gabba happens to be one my daughter's all time FAVORITE shows. That's why I'm so excited to announce to you and other Yo Gabba Gabba fans that the Yo Gabba Gabba Live gang is doing a 60 city tour that's starting August 27th in Bethel, NY and ending in Dallas, TX on December 12th! "Los Angeles, CA-- Fresh off a triumphant sold-out tour debut, a headlining performance at The White House, a critically-acclaimed, chart-topping album, and an appearance at that garnered rave reviews from spectators and media alike, DJ Lance Rock and the cast of YO GABBA GABBA! are heading back on the road with YO GABBA GABBA! LIVE! : THERE’S A PARTY IN MY CITY! to play to enthusiastic fans on a 60-city tour across North America. YO GABBA GABBA: THERE'S A PARTY IN MY CITY is produced by S2BN Entertainment in association with Wildbrain Entertainment and The Magic Store and is sponsored by Kia Motors." 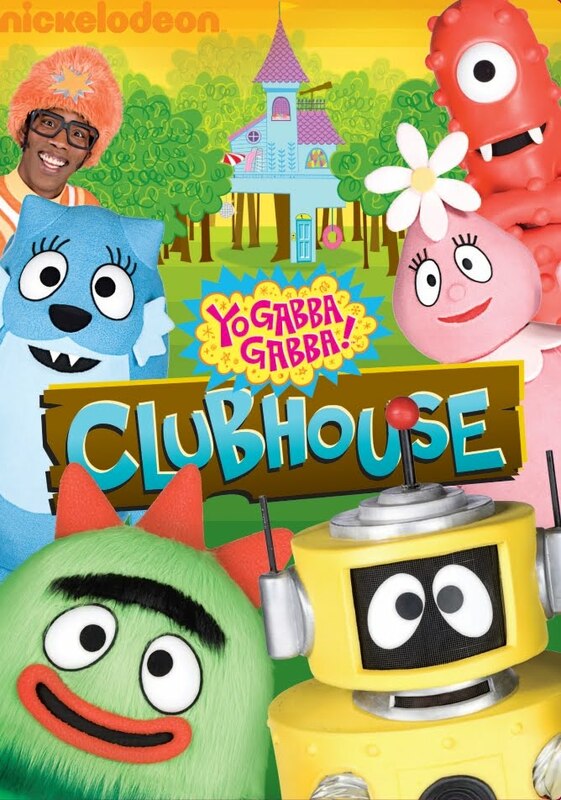 Yo Gabba Gabba: Clubhouse DVD which features performances by musical guests, Erykah Badu, The Killers, Jimmy Eat World, and more. 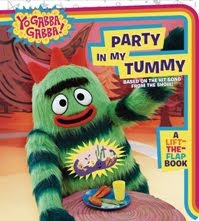 Yo Gabba Gabba: Party In My Tummy book based on the popular song it makes healthy eating fun for little ones! Lift the flaps, sing along, and find out what everyone in Gabba Land is bringing to the party! So you want to win?! It's that simple! Remember each one counts as a different entry so be sure to enter them separately. Giveaway ends August 31st. A winner will be selected by random.org and will be announced on my blog, so be on the lookout for your name! I'm your newest follower from Mama's Little Nestwork. Thanks for sharing your blog. I voted for you on top mommy and picket fence! I want to win this for my little girl! She LOVES watching this show, and since we no longer have cable service at home, she doesn't get the chance :( Thanks! My girls adore YoGabba Gabba. WE caught the concert in March, IT was awesome! Have fun!I am stopping by from FMBT! Hope you can do the same!Happy Mothering! My son loves Yo Gabba Gabba, I would love to win this for him! I would love to win this Gabba Gabba prize pack! I voted for you on both sites! I want to win! We love Yo Gabba Gabba! We (as in our whole family,)love Yo Gabba Gabba. Please enter me. I'd love to win! The tour was near our city just yesterday - our little boy loves this show! But my littlest guy LOVES this show! He turns 2 next week and would sleep with the prize package if I let him! So this is my entry for the love of my child! I would love to win this giveaway! Thank you! I voted on Top Mommy Blogs & Picket Fences. You have just voted for Babblings of a Mommy! Remember, you can vote every day. I used GFC to follow you. I voted for you on Top Mommy Blogs and Picket Fences. My girls would love it if I won this!! !